It's finally here and a must-have for all fans. Hurrah! 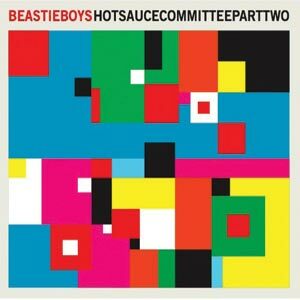 It might sound like a sequel but were it not for Adam Yauch’s cancer diagnosis, the Beasties would have released ‘Hot Sauce Committee: Part Two’ some 18 months back. Now that they’ve finally given up the goods, it’s easy to understand why they decided to go with what they already had because their eighth album is rooted firmly in hip-hop’s old-school. The New Yorkers do occasionally stray from the yappy rhymes / big-beats blueprint during tracks like the dub-reggae tinged Santigold collaboration ‘Don’t Play No Game That I Can’t Win’ but for the most part, ‘Hot Sauce Committee: Part Two’ is vintage, if not exactly essential, stuff.